The way that timber is dried can affect it’s structural and aesthetic properties. 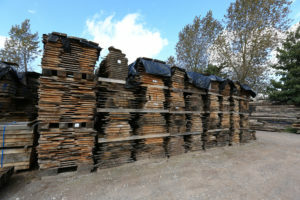 Air dried timbers are sawn and stacked for a minimum of three years in layers with sticks placed carefully amidst them to provide space in between. 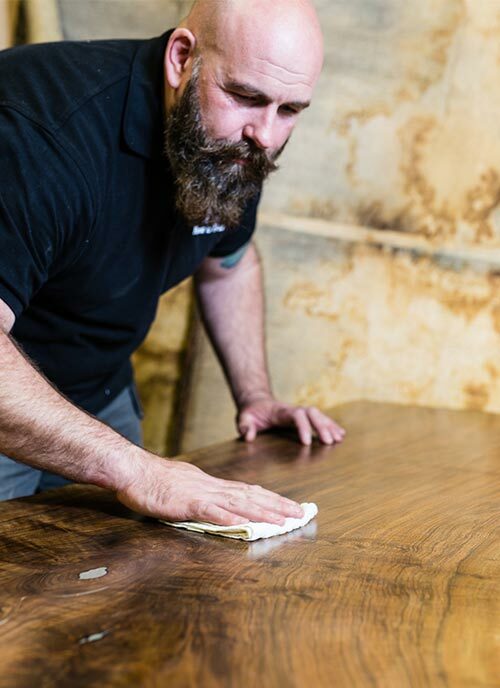 This space allows air to circulate between each layer, slowly reducing the moisture content to 16-20% depending on the thickness and time left to dry. The timber slowly expands and contracts which helps it to relax over time, giving it a stable structure. 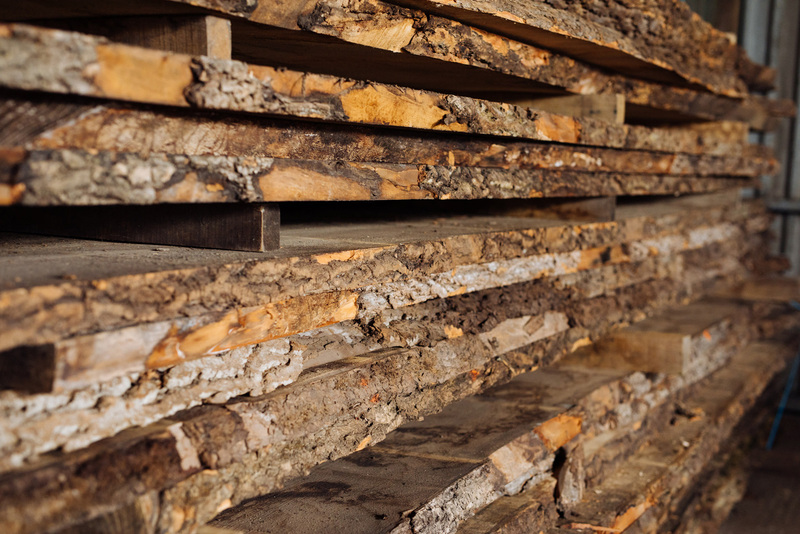 Kiln drying can quickly reduce the moisture content to 6-18% depending on its thickness which reduces the likelihood of shrinkage and movement in the future.